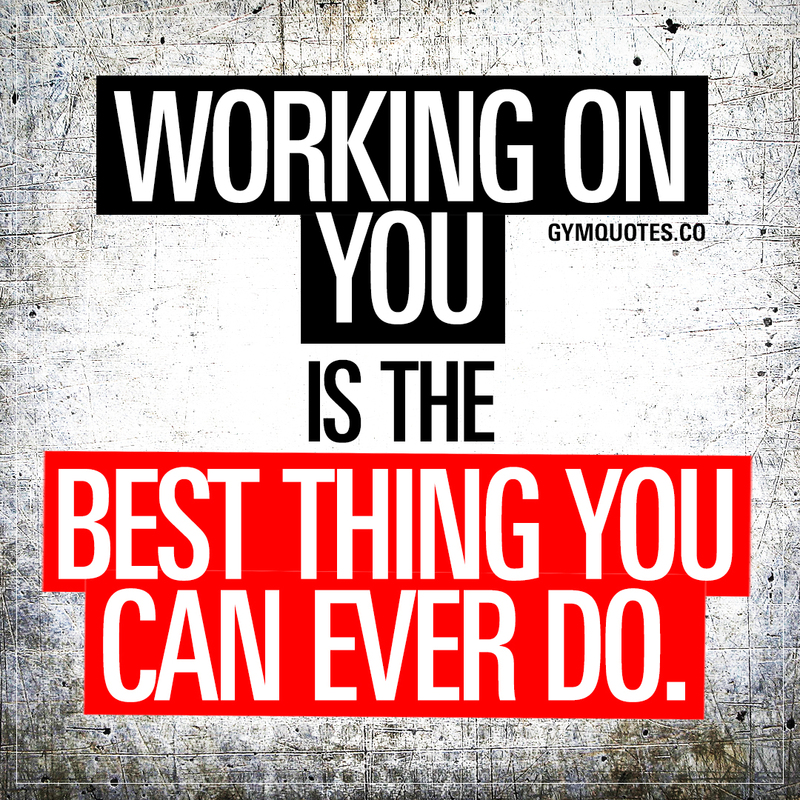 Best gym quotes: Working on you is the best thing you can ever do. Working on yourself, improving yourself and becoming better is the ultimate thing you can ever do. Not only will you be a happier, healthier and more satisfied person, but those around you will benefit from all of your progress as well. Work on yourself and radiate all that positivity to those around you and help them work on themselves as well! This “Working on you is the best thing you can ever do” quote (image and text) is copyright © Gym Quotes 2018.